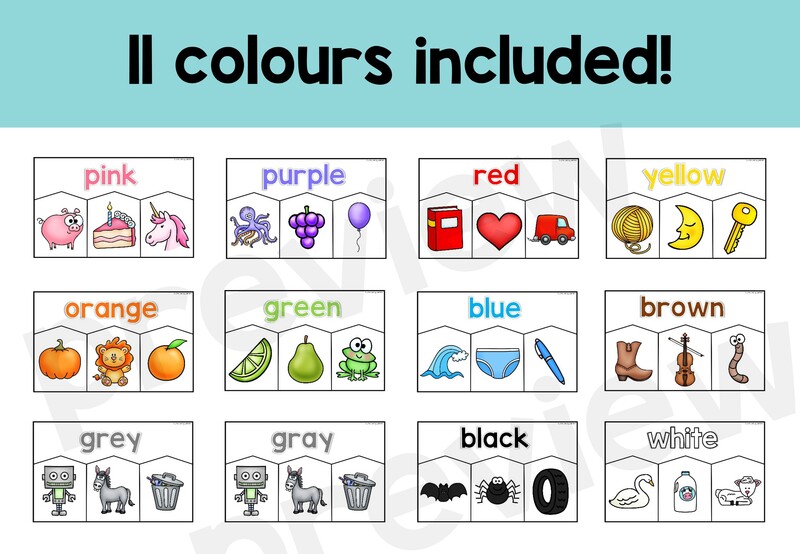 Explore colours with these fun, simple colour puzzles! Explore colours with these fun and simple colour puzzles! 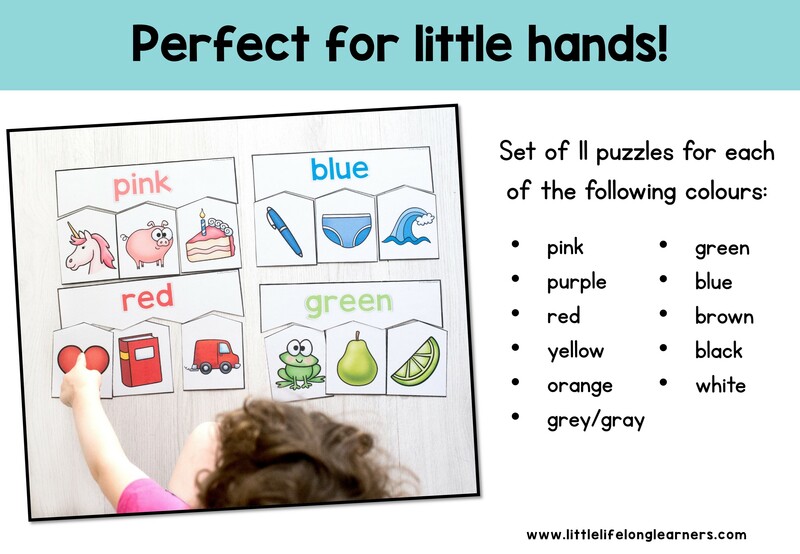 Perfect for preschoolers, toddlers and homeschooling, your little learners will love the bright pictures featured on each puzzle! Extend vocabulary and early language skills by discussing the different pictures and asking questions. For example, when you complete the PINK puzzle, you might ask what your little learners knows about pigs or if they’ve ever seen a unicorn before. You could go on a colour hunt and find other items that are the same colour. Each conversation you have with your little learner builds their early language skills! The puzzles are designed to be printed on one sheet of A4 piece of paper per colour so that the pieces are nice and big for little hands. Each puzzle has one large colour word piece with three smaller pictures to match each colour. 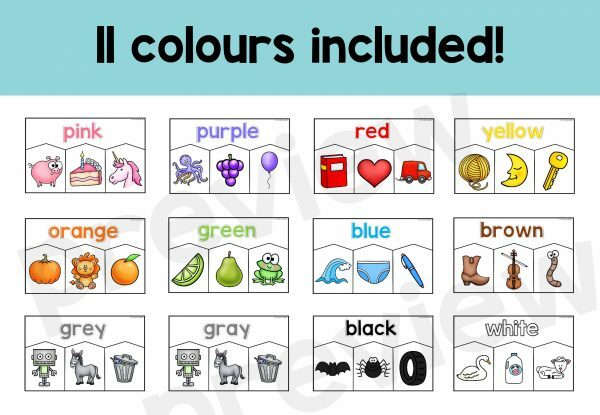 Check out my other colour and shape resources!